MASSIVE VOODOO: Unfortanetly ... Events! 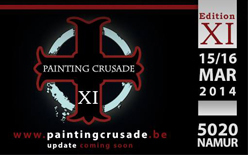 We have been asked again if Raffa and I would be present at this years issue of the famous Painting Crusade in Brussels by our friend big Q. And the answer begins with "Unfortanetly" ... and ends with "not." Raffa and I had a massive year in 2013. A lot of travels to painting classes, many events and even more journeys beyond imagination. 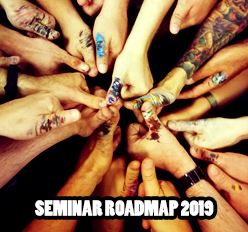 After 2013 struck us pretty exhausted we decided to walk a more easier road in 2014 when it comes to contests and travels. To see proper future time with our friends, ladies and cats. We would love to see all our painter friends again at the Painting Crusade, but 2014 forces us to walk a little slower. Find time to breathe. I can only speak for Raffa and me. Well, I am sure there will be some MV Monkeys present in Brussels as I already know that Valerie will be there. I have no information yet about Oli or Ben, but future will tell this. Unfortanetly we both decided this for a lot of contests. We won't be at World Expo in Stresa for example too. Good friends of us are getting married at that particular weekend and it feels good to put friends with such an important matter first. Even I was very honoured to be asked of judging Fantasy at this event I had to refuse. We won't be at Adepticon this year, even it was great joy to be there last year. We will sadly miss the friends we made there, but we'll be back. Promised. 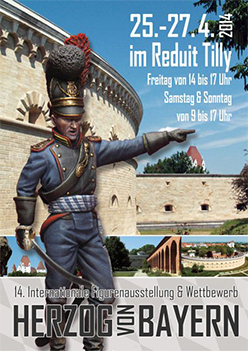 We will be present at the Duke of Bavaria for sure, as this is just right around the corner. You may find me (Roman) judging Fantasy there again, like last year and I am really looking forward to this event. If there is a german Games Day this year (who knows) we might be there as there is still the possibility for me to help judging the contest. We'll see. Told the sad truth which also hurts my heart, but as you see MV's year of the painter roll in you will soon recognize that our decision is not as bad as it sounds in the first place. One thing I want to point out is the Golden Vinci Contest over on DieVincis. Our friends are doing their online competition again and we hope to see many entries there. There are 1 Kommentare for Unfortanetly ... Events!